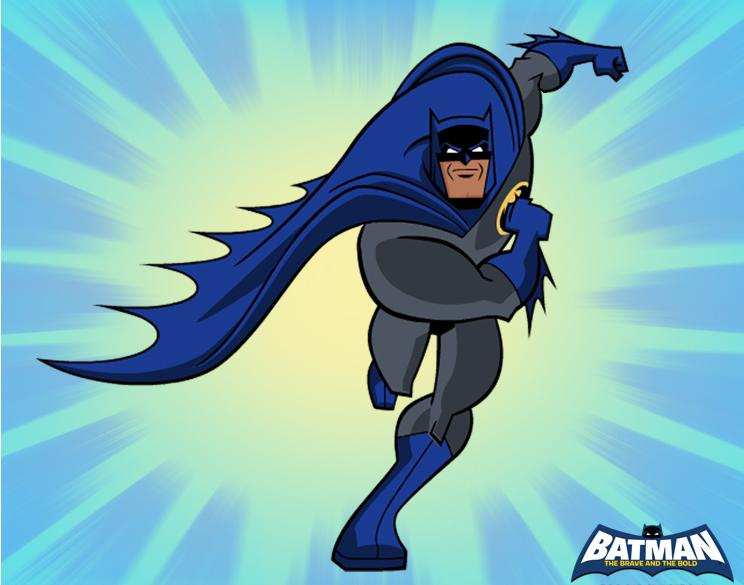 Next month sees the return of the Batman franchise as Batman: The Brave and the Bold launches on the Wii and the DS; which in itself, is an adaptation of the 2008 animated series. In the lead-up to the game's launch, Warner Bros. Interactive Entertainment has sent over a vignette from the DS version which explores the different characters that are on show, as well as their unique abilities which players will have to utilise. Red Tornado's hovering skill will have to be mastered as it gives gamers the ability to cross gaps that Batman can't. Overall, there are eight characters to choose from; which includes allies such as Green Lantern, Robin, and the Blue Beetle. Batman's combo attacks will be all the more deadly as his utility belt holds various weapons like the batarang, the belt sword, and smart bombs, which can be pulled out during attacks. Coins can also be collected and spent at the Batcave to purchase upgrades and weapons. Familiar locations like Gotham City will be explored, as well as places like London and mysterious island laboratories, and if that's not enough to bat an eyelid, our caped-crusader will also be doing a bit of vigilante work on strange planets. So check out the video and see for yourself, the care that WayForward has put in the game to make it as visually pleasing as it is true to the original animated series. Scenes are constructed of ten layers all moving at different rates to give the game a nice sense of depth, and the witty one-liners delivered by the original voice actors should make this a fun game to play. Batman: The Brave and the Bold is scheduled for release on 7th September in North America. Looks like a GBA game, which isn't really a bad thing. Nevermind the intergalactic mennace known as Mongul. I heard Gorilla Grod and the Rogues(well at least Captain Cold,Heatwave and the Weather Wizard) are in this game. Nuff said. DS? Lame I was excited for a second. Lovin' that sprite art, and voice acting on the DS is always a treat. I'll probably get the Wii version though. Didn't even know there was a DS version, but the Wii version looks fantastic. some of those amazing pixels are put there by Paul Veer, the artist of Flipper! That looks cool. Not sure what version I want yet. Well, crap, I was planning on getting the Wii version but this looks pretty great!! *Corbie, please review these because so far you seem to enjoy and appreciate the same type of games as I do. (Do Re Mi, Pop Island and Starfy were recent purchases made because of your recommendations. Also, I fully agree on A Boy and his Blob) Thanks for the great and accurate reviews!! And I'm a fan of Batman. yeah but are you ALSO a batman brave and bold fan like me? It looks okj actually, I'll need a revw of both this and the wii game before purchasing. Why does Batman need to collect coins to purchase upgrades at the Batcave? He's Bruce Wayne! Seriously though, this game looks really awesome! I'll definitely be getting it but I'm still not sure which version.